Running a competition is a great way to increase traffic to your website by encouraging people to actively talk about your business online. It’s also great for raising your profile on social media, boosting your online reach. 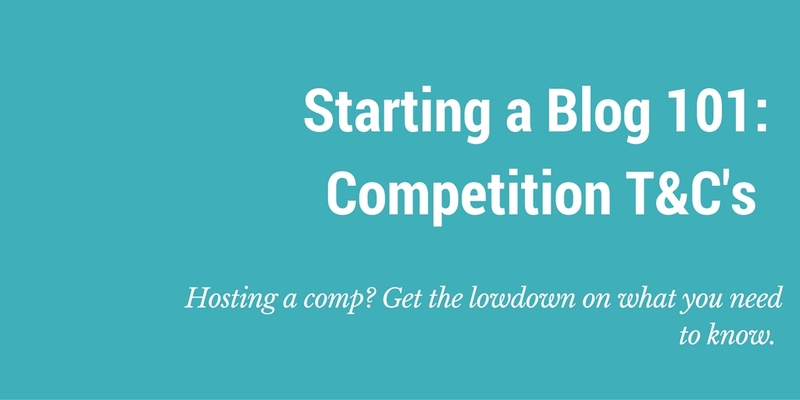 But there are a couple of points you should consider before launching your first competition. Here’s the lowdown on some of the main points you need to consider. (If you are running your first competition, we strongly recommend you check out the links to official resources at the bottom of this page). Although the legal requirements around running a competition may seem daunting, you shouldn’t let this put you off. There are many other benefits to be gained from running a competition online that will far outweigh the time it takes for you to obtain the correct license and to post the T&C’s on your website. Why do I need Terms and Conditions? Every competition you run requires Terms and Conditions, they are considered to be ‘the rules of the game’. Your T&C’s should cover basic things like open and close dates, rules on who can and cannot enter and specific details of the prize. You should also outline how you plan to use any content that is generated from the competition (such as images, quotes or written entries). Your T&C’s must be available to anyone who is likely to enter your competition, and it’s common practice to have a page on your website where you list out a full version of the T&C’s. You can link back to this page on any promotional material or social media posts you use to promote the competition. Rules for running competitions vary from country to country and from state to state. So we advise that you take the time to research into the specific requirements of your country and state. Here is a good example of some T&C’s that clarify how to enter a ‘User Generated Content competition’ on UK website, ‘Which?’ They have a dedicated page on their website and you may want to have a read of these T&C’s to get an idea of what you may need to include for your business. What kind of competition am I running? Being 100% clear on what exactly kind of competition you are running will help you identify whether you may need to apply for a permit or license in your country. Competitions that are aimed at directly promoting a brand or business could be classed as trade promotions. As a general rule ‘Game of Skill’ competitions require an entrant to answer a question or submit something e.g. a photo judging competition or an Instagram photo contest. Anything that requires a participant to ‘physically or mentally demonstrate a skill’ in order to win can be classed as a ‘Game of Skill’. In a ‘Game of Chance’, the competition the winner is picked like a lottery and chance and probability are taken into account. Every country has different rules as to whether or not you need a permit to run a competition online. It is recommended that before you launch a competition you spend some time researching what licenses or permits you need to have. Below is a list of websites for a number of countries that you may find useful.